I have become increasingly besotted with texture created by fur. My recent pieces takes fur to a whole new level. 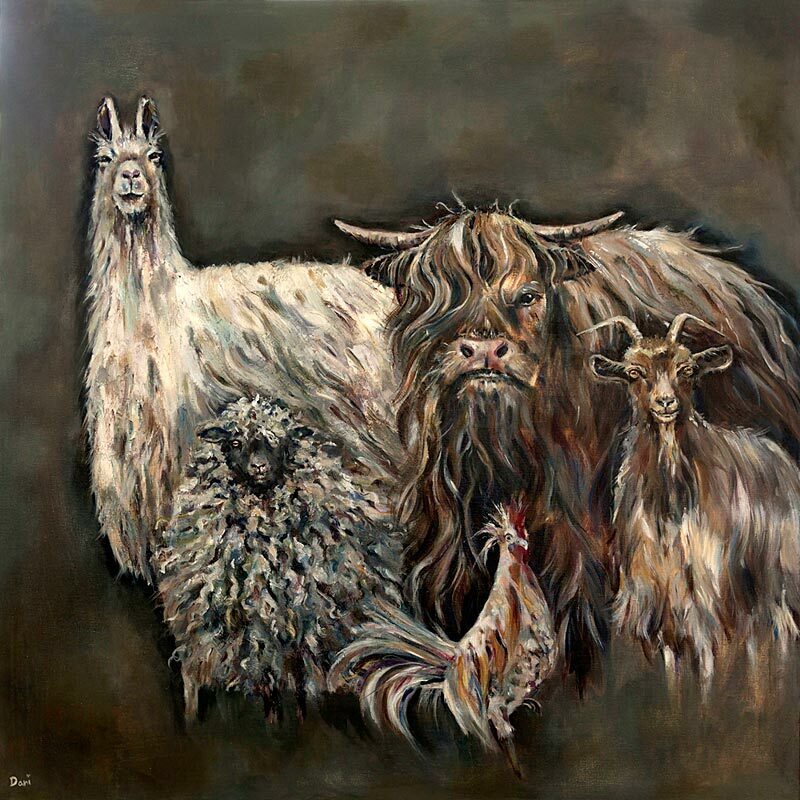 “My Family” is a quirky, fun depiction of a group of friendly farm animals gathered for a photo. With their expressive faces and oodles of charm, this large piece creates a very dramatic scene. Painted on Box Canvas using a variety of mediums and acrylics. A fabulous addition to any wall. Contact Me for further information.